My alert beer-drinking friend Kenny found this news that I am upset by, as you should be. The beer brand familiar to generations of Chicagoans is returning to a process it started with in the 1900s and abandoned in the ’90s. Old Style is re-employing krausening fermentation — a traditional German process — will provide a smoother finish, the company says. Re-employing krausening fermentation — a traditional German process — will provide a smoother finish, the company says. “It’s something our longtime consumers have asked us to take a look at,” said Kevin Kotecki, president of Woodridge-based Pabst Brewing Co., which acquired the brand in 1999. The brewing change will push Old Style into the more costly premium category of Coors, Miller and Budweiser. Among several brands Pabst has recently focused on propping, Old Style is now in a subpremium category with the likes of Busch, Keystone Light and Pabst Blue Ribbon. The company will promote pub crawls and block parties to reach a target audience of 20-something Midwesterners who grew up seeing the brand at family gatherings, said Senior Brand Manager Keith Hill. I drink Old Style because I like the taste. Everyone needs a “staple” beer — a beer with body and taste but not overwhelming… this is what I demand from a classic American pilsner, and this is what Old Style is. I also drink it because it’s affordable (and affordability makes it taste even better). I choose it over PBR because Pabst has gone from a sub-premium brand to some sort of hipster calling card which I hope not to be attached to. Within the last year the cost of Old Style has risen from about 10.99 for a 30 pack to 13.99. Not a wallet-buster but still annoying. Within the last year Old Style has discontinued the 30-pack in favor of the 24. PBR however, still sells 30-packs which now seem to be a better deal than Old Style. All this means I’m in search for a new good, cheap beer. I’m thinking… Tecate? I could always slink down into Mountain Creek, but I simply can’t bring myself to do it. 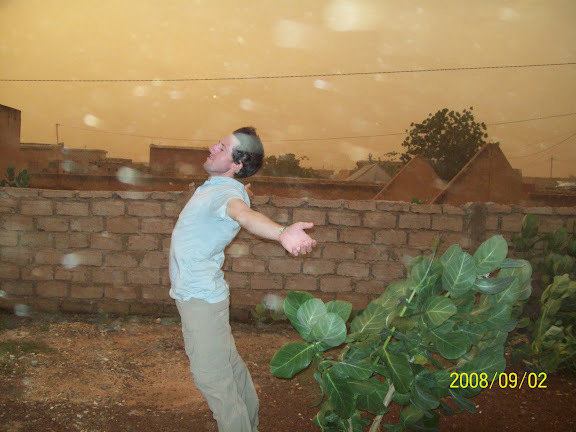 Such are the encouraging words from Adam volunteering in Mauritania. It’s been a while since we’ve heard anything from Adam — part of this might have to do with them being without power for the last 9 days. Ouch. Overall, everything seems to be going well. Dr Adam has some ideas on HIV/AIDS awareness that links into youth soccer programs which would be really cool, as I know Adam is a big soccer (aka “football” for the rest of the world) fan. Perhaps, if the UNICEF/FIFA thing doesn’t work out, we could try to donate t-shirts and soccer equipment for him. That would be really cool. Otherwise, it sounds like he’s making Holiday plans like the rest of us, some of which focuses on drinking (like the rest of us). well it has been a bit since i have dropped a line. it has been a bit busy around here as of late. aside from visiting some parts of mauritania i have yet to visit i have made some strides on the work front. mainly ideas mostly and a lot A LOT of talking about them with members of the community. among them organizing a community soccer tournament for kids on world aids day, dec. 1, and educating them about hiv/aids. i am trying to do this in conjunction with UNICEF and FIFA which would be awesome because they can donate sports equipment and the like as well as t shirts etc etc. UNICEF has this thing called sports in a box which donates a ton of equipment to third world countries needing them. so cross your fingers and all will be a success. aside from that talking about a traveling vaccination program for children in more rural sites and maybe something on clean birthing kits. but more details to follow. my language is getting better a little bit each day so i dont make a fool of myself nearly as much as i did when i first arrived. 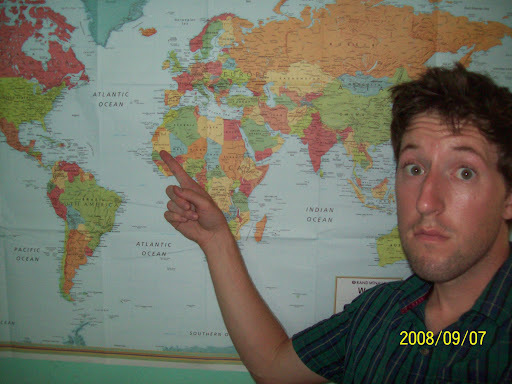 but i feel it is part of the territory as a peace corps volunteer. aside from that, all is great! only frustrating part is trying to explain that you are a volunteer and that no, you wont be bringing any money into the place. but if you meet the right people and dont get too discouraged you can actually do things here. again, ask me this question in 6 or 8 months and i could be less or more enthusiastic on this point. i will try to post new photos soon. our electricity has been out for the last 9 days and it came on for 3 hours last night. enough time to charge a computer. hope all is well and thanks to everyone who has sent me packages! they are great! Mauritanian Peace Corp! Now with Photos! well, because of my sheer obliviousness and/or stupidity, i had no clue you were doing updates on a blog! apparently, it is being read by a plethora of PCV (peace corps volunteer) parents and friends alike, and came to hear of it through some current volunteers here. you are famous! anyways, thank you so much for keeping people up to date because i don’t keep a blog and my emails are only sent to friends/family. the fact that most (if not all) PCV parents are eager to read it is great, so thank you more than anything. it has even gone so far as i have been approached by obie shaw himself (the country director of peace corps mauritania) at swear-in. he informed me as to the U.S. government enlightening him to your blog (because i forwarded emails from him to you). whether that is disconcerning to you, you can judge for yourself..but i find it hilarious because i was utterly clueless as to what he was talking about at the time! anyways, i hope you looked at my photos (i put a link on my facebook page) and hopefully i can keep updated semi-often. please keep it up. i am lazy and far less apt a writer than you are so i hope you do keep it up as i am sure plenty of friends and family will appreciate it!!! thanks again! its great and i love it! Oh, as for the headline, Adam has gotten around to posting images up on his own photo site over on Picasa. I’ll be putting a few up to share every blog, but far be it from me to deny anyone else from checking out the whole page here. "site mates mike, eric bell, eric metcalf at my house"
It’s been a while, but Dr. Fiebs has gotten back, and he’s a full-blown volunteer — i.e. “locked in” for 2-years of do-gooding, baby-kissing (apparently) and sporadic email contact. Good news is he’s going to be sending photo’s so I’ll no longer have to image search the word Mauritania for visual stimulation. well the time has finally came! i am a full blown volunteer in the united states peace corpsand am officially a government emloyee!!! watch out! we were sworn in this past thursday in the heat and this week has been pretty fun due to seeing all the other trainees again and the anticipation of going to site is too much. swear in party was great and i will soon have photos to upload. i am in kiffa; my home for the next two years and have moved into the regional house!!! it is great! i will also post pictures when i figure out all the logistics. my first few days in kiffa are bound to be busy with protocol; which basically means shaking handsand kissing babies; but after i am sure to settle down and have plenty of free time especially since ramadan starts next week. As far as the coup situation goes, I can safely assume that no news is good news. I’ve noticed there’s a few people checking Arms, Distancefor updates on the Mauritania Peace Corp situation, and although there’s no personal news from Adam to report, everything is going as well as could be expected in Mauritania during the on-going coup there. Although the democratically-elected President is still imprisoned, other major figureheads, like the Prime Minister, have been released and as Obie points out, day-to-day life has not altered that much. caliphate(kăl’ĭfāt’, -fĭt) , the rulership of Islam; caliph (kăl’ĭf’), the spiritual head and temporal ruler of the Islamic state. In principle, Islam is theocratic: when Muhammad died, a caliph [Arab.,=successor] was chosen to rule in his place. The caliph had temporal and spiritual authority but was not permitted prophetic power; this was reserved for Muhammad. The caliph could not, therefore, exercise authority in matters of religious doctrine. So, things are going along in Mauritania, with no Peace Corp-specific news. Though, I can gather by Obie’s comments late in the letter, that they are still going ahead with the swearing in of the Trainee’s to full Volunteers — Adam being one of them. Good luck to everyone, our thoughts are with you. I hope this eMail finds you doing well. There has not been a great deal of change in the political situation here in Nouakchott over the past few days with the exception of the release from custody of the Prime Minister and a number of other government officials who had been held by the military junta. The democratically elected President of Mauritania remains in custody. The coup continues to be strongly condemned by the international community. The U.S., E.U., African Union, and other countries have all joined the chorus (including Algeria this afternoon). Most nations have cut all non-humanitarian aid to the country pending the reinstatement of the legitimate government. The Arab League has not yet taken a collective position on the coup. The online mainstream press has been relatively good at following the situation in Mauritania. I would recommend Google News as a good over all resource for news. Press reports quoted the leader of Al Qaeda in the Islamic Maghreb (AQIM) as having called for the establishment of a caliphate style state in Mauritania. I want to assure you all that PC staff members in both Nouakchott and Washington are following the situation closely and your safety and security is our primary focus. I am in daily contact with the U.S. embassy. If you have any concerns or questions, please do not hesitate to contact me (648-1783). I would be pleased to answer any questions you have. I would also stress that the mood in Nouakchott remains calm and businesses are operating normally both in Nouakchott and in the regions as well. To the trainees, we are moving forward with your swear-in as scheduled. At this stage, we are expecting to keep the ceremony low key (no press and no government authorities). Ambassador and Mrs. Boulware will be joining us for the celebration. I would like to remind you all of the importance of keeping your family and friends informed of your well-being. Please keep in contact with them! Thank you all again for your professionalism and positive attitudes. It has helped a great deal in our ability to manage this situation. It is my sincere honor to be serving with you. Back on the home front, Adam was not able to attend out annual Man’s Weekend (for obvious reasons), so we poured a little out to give him mad-props. That’s how we do. they tried this in 99 and nothing changed and i suspect this will be similar but i guess only time can tell…we will have to see about the aid. anyways hope all is well. 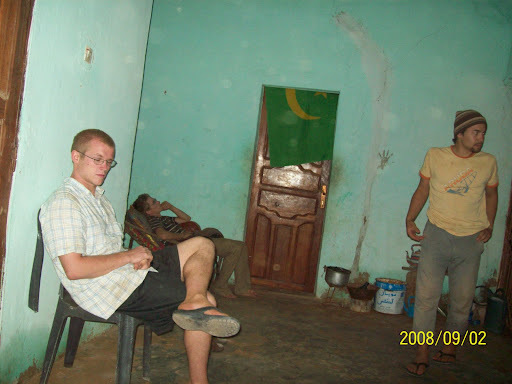 heading to senegal in two weeks for a couple days and to have my first beer since ive been here. damn these dry islamic countries. hope all is well in chicago. the alumni reunion looked like a blast! wish i couldve been there. ps farve is a jet…wtf! Indeed, Fiebs, indeed. Obviously the coup isn’t that bad (and the internet must be better than I thought) for a Wisconsinite in 3rd-world Africa to be more concerned about a Packers trade than a Military Coup. you could’ve wound up in Minnesota.